The stats have just dropped on what might just be the perfect pickup… and it’s electric. 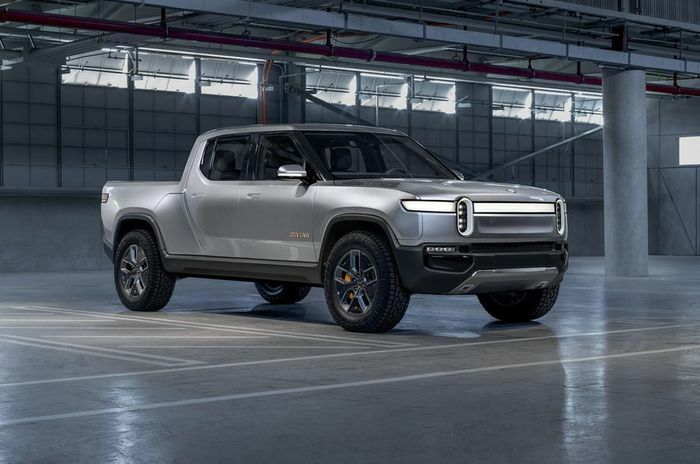 This is the R1T from US-based electric car start-up Rivian, and it’s never even heard of rolling coal. 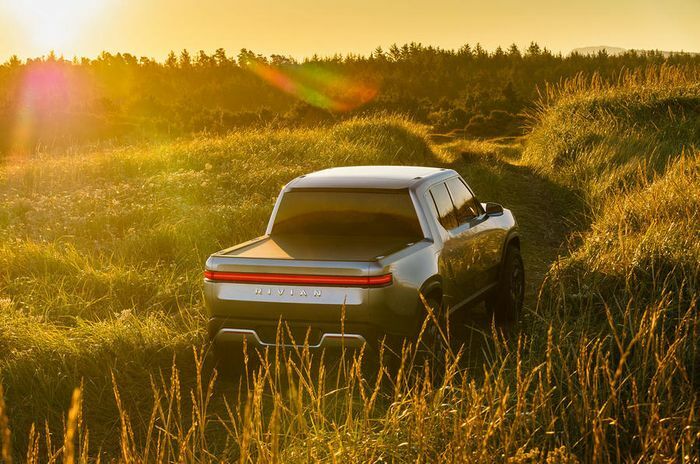 The 5.47-metre leviathan is slightly longer than a Mercedes-Benz X-Class but takes power and chassis technology to the next level for pickups. It’s powered by four electric motors; one for each wheel and all producing 197bhp. Combined, their total output is 754bhp, with 826lb ft of hired muscle. Having a motor at each wheel allows for precise traction control on any surface, even with two wheels in the air. It also guarantees pace: the 0-60mph sprint takes just 3.0 seconds, the same as a McLaren 675LT, while 100mph is dropped in ‘less than’ 7.0 seconds. That’s faster than a 2015 Nissan GT-R, and we’ll wait here for you while you retrieve your eyebrows from the ceiling. Underneath is double-wishbone suspension built around air springs for ultimate comfort and control. Adaptive dampers promise to handle anything from rock crawls to mountain road switchbacks. The launch model comes with a 135kWh battery pack that’s good for 300 miles of driving at best. 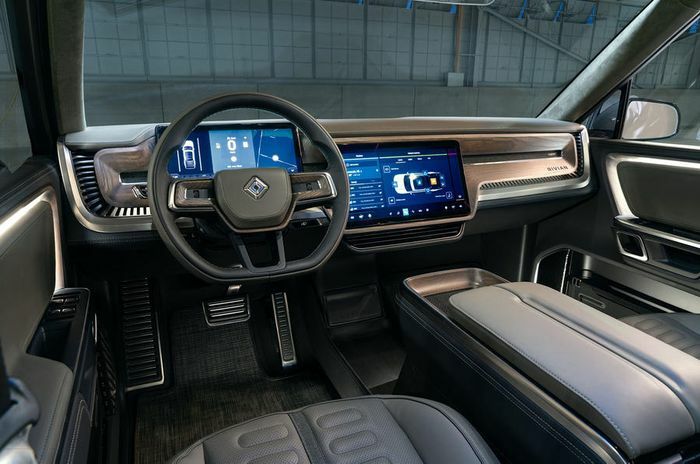 A 180kWh upgrade takes theoretical range to 400 miles, while a lighter, short-range model with a 105kWh battery pack will arrive later. Its batteries are protected by carbonfibre and kevlar. US testing authorities have awarded it the maximum five stars for crash safety. The absence of an engine at the front means there’s a secure 330-litre ‘frunk’ to add to the traditional pickup load bay at the back. On top of that, there’s a tunnel running the full width of the car between the rear doors and the rear wheels that can house bags of golf clubs. The front end is seriously distinctive and robot-like. LED headlights are obvious in a vertical stack bisecting a full-width LED light bar that, as far as we can make out, might act as a daytime running light. Inside the R1T it’s a simple but new-age affair. Digital screens dominate an otherwise Spartan but design-heavy space. The materials are said to be hard-wearing and easy to clean for the most part, but we fancy that it’ll be no Land Rover Defender when it comes to brutal utility. The truck will be built at a former Mitsubishi factory in Illinois. 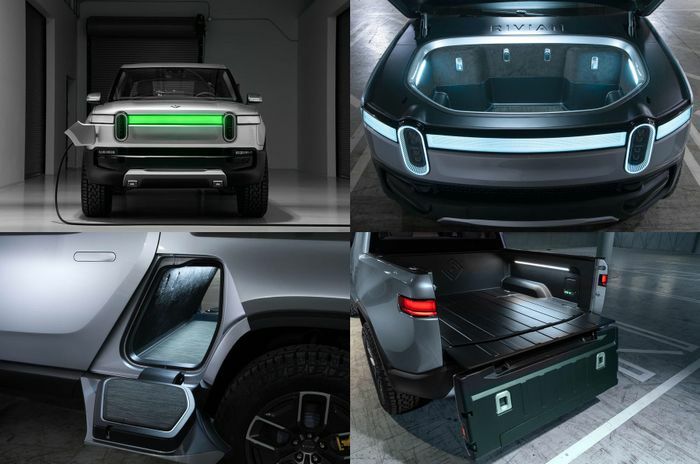 Rivian’s Middle-Eastern backers bought it for just $16 million last year with a view to creating a long-term production base. 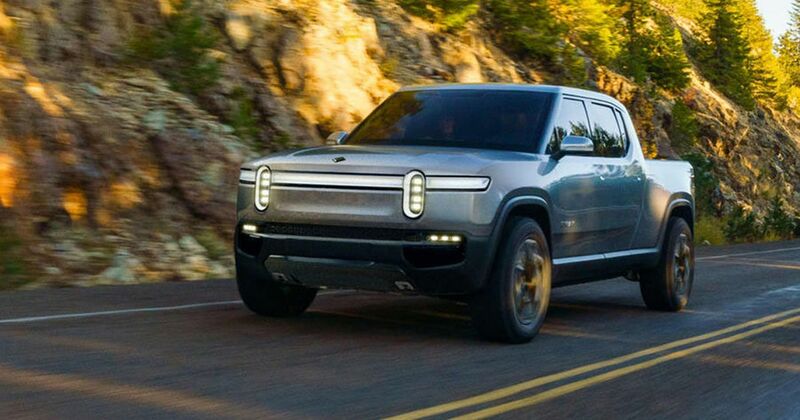 It has the space to build as many as 350,000 cars per year, but Rivian’s modest hopes are to be selling 50,000-60,000 cars annually by 2025 or so. The R1T will arrive first with a starting price of $61,500 (£48,000). A seven-seat SUV called the R1S will be revealed in a few days. After bedding-in its production facilities with left-hand drive units, Rivian will begin building right-hand drive R1Ts for the UK, Australia and South Africa, among other markets. This, good CTzens, is a brand to watch.